Along with the United States, China and Japan, South Korea had been racing to claim the title as the first to provide the ultra-fast network nationwide. But speculation that US mobile carrier Verizon might start its 5G services early forced South Korean providers to hastily organise a late-night launch, Yonhap news agency reported. But according to Yonhap, the South Korean launches came two hours earlier. "SK Telecom today announced that it has activated 5G services for six celebrities representing Korea as of 11 pm April 3, 2019," the country's biggest mobile operator said in a news release. The celebrities -- including two members of K-pop band EXO and Olympic ice-skating heroine Kim Yu-na -- were "the world's first 5G smartphone subscribers", it said. For general customers, the services will be available from Friday -- the original launch date -- when Samsung Electronics rolls out the Galaxy S10 5G, the world's first available smartphone with the technology built in. Verizon's network will work with Lenovo's Moto Z3 smartphone. 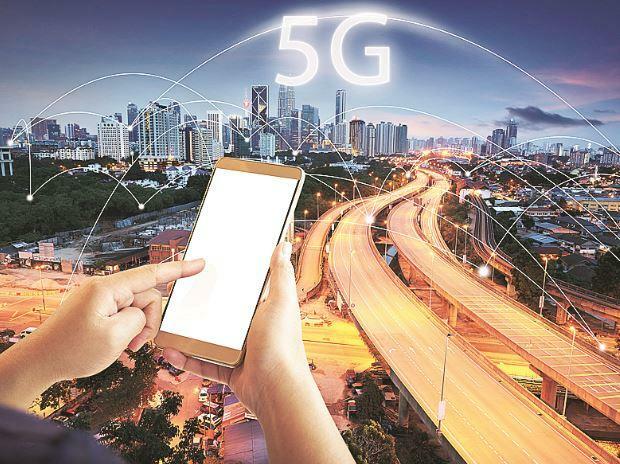 Rival US carrier AT&T began making its "standards-based" 5G network available to users in a dozen cities late last year. Qatari firm Ooredoo said it offers 5G services in and around Doha -- but does not have devices available to use them -- while Japan is also expected to roll out a limited deployment in 2019 before full services start in time for next year's Tokyo Olympics. Chinese entities, including 1,529 5G patents registered by Huawei, own a total of 3,400 patents -- more than a third of the total, according to data analysis firm IPlytics. South Korea comes next, with its companies holding 2,051 patents, while US firms have 1,368 together.